Does your “Check Engine” light come on? All modern day vehicles are fitted with complex engine management systems. Even something as basic as turning off a service light can require that diagnostic equipment be connected to the vehicle to communicate with the system. 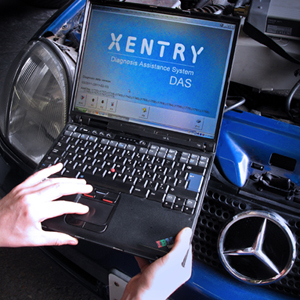 Diagnostic machines are necessary for carrying out most types of work on vehicles, which check fault codes on the car such as engine and gearbox faults, suspension and steering and even car entertainment. JTT Autotech works with many different cars and we have over 10 different diagnostic machines to cater for the different makes. Some of these are the same as those used by the manufacturers themselves. All our technicians are trained to operate each individual diagnostic tool. Book your Diagnostic Check by filling in the form below.